Swedish Studio Zoink Games has been around for 17 years, but at least some popularity, she managed to win only in 2013. Humorous platformer Stick It to the Man!, reminiscent of the games of Tim Schafer, has become widely known (alas, in the narrow circles), and after him come the Zombie Vikings with a similar visual style and the support of cooperative transmission. 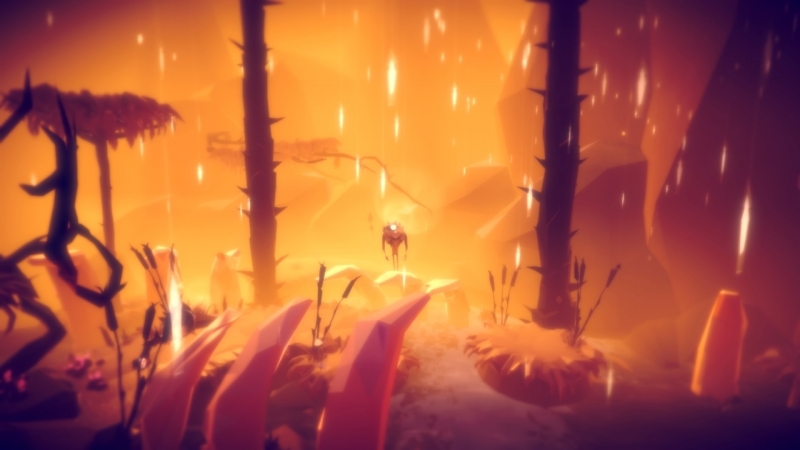 This year, the company has prepared two projects: one of them, Flipping Death — spiritual successor to the aforementioned adventures and will be released this spring, and the second, Fe — they are quite similar. To try a new genre, the developers have performed well, although not without rough edges. 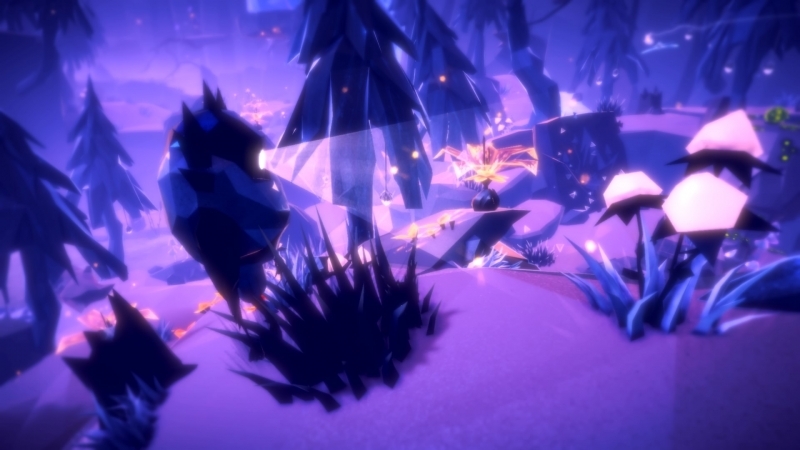 The main character of Fe was the animal, similar whether on Fox, toothy Coney, who finds himself in an unfamiliar woods and trying to get in contact with the flora and fauna by howling or singing. Soon, the player notices that creatures resembling robots, lock animals in cages and break in the forest order of things. This is the so — called Silent, not uttering for the entire game with no sound, but is actively preventing other forest dwellers to live in peace. Fox (we’ll refer to the hero) tries to rescue the situation, with the support of nature, and gradually helps all living beings to get out. The idea of the authors is clear: Silent — people who do not speak the language of animals and repeatedly intervening in the life of the forest. The idea is transmitted without the use of words — except for the menu and training tips, the text in the game. But in the end is not clear, what exactly wanted to tell the creators what conclusion they propose to make and which came. It is obvious that in hunting animals and their confinement in cages is not good, but what’s next? The story, as often happens, tried to make it as more mysterious, showing the past of the forest in small, interactive episodes. The goals and actions of the invaders of natural space at times completely incomprehensible — in the end the player is rather curious than full of feelings and emotions. Fortunately, even with such understatement Fe worthy of attention, as the rest of its elements are gone to glory. In structure it resembles metroidvania, only with a third person — the initial locations meet the objects can’t be interacted with due to the lack of necessary skills. Fox gets them, helping the forest dwellers. For example, at the beginning of the passage he finds the stolen eggs of great birds, and in return she teaches him to Twitter — this skill allows the character to make contact with the birds. Conventionally, the game can be divided into several stages, each of which includes a trip to a new area on the map and the large beast. Immediately to allow the Fox to the leader will not be — often must first meet the small creatures. This happens by pressing the trigger on the controller, each time requires different pressing force — you need to literally communicate with every creature, and to look to him. If the inhabitant of the thicket with you and friends, then he begins to jump for joy and run after you, helping crying or howling in solving the puzzles. Little marmots, for example, can open red flowers that serve as trampolines. And unusual creatures, like wolves, activate the blue mushrooms and cover so the dark tunnels. All accompanied by simple puzzles, brings to mind the RiME. Often it is not so much to solve the puzzle of how to find a way to climb to the top of the rock or get to the desired point. 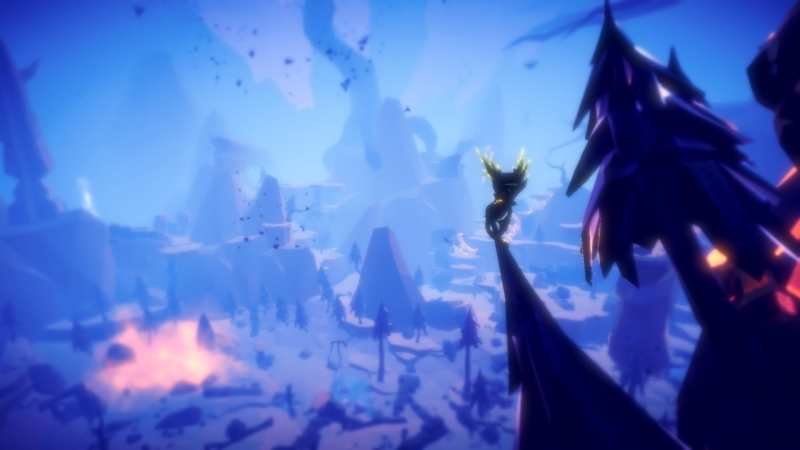 The main character is able to climb trees, and subsequently acquires the ability of flying squirrels, so the journey from point a to point B usually consists of a large number of jumps with a fair solution to problems. They are often associated with rescue of animals or flowers, hidden in the cells to rescue the prisoner, you need to throw him the ball of plants yellow. But even if the ball is found, the task is complicated by scurrying nearby enemies — the hero can’t fight, so I have from time to time to hide in the bushes. Stealth is very primitive, and mistakes are forgiven instantly, it is only hiding behind the nearest stone. When the leader is saved and the Fox became friends, in repertoire there is a new song. He did not need to rely on marmots, wolves and other animals to activate certain flowers and reach the desired location (and return to already visited places where left unsolved puzzles). In his free salvation of nature time you can collect red shards, for which a huge tree yields new skills (passing, they do not need) or you can explore rock paintings, several hundred drawings, better revealing the history of the forest. The number of collected and missing objects in each region is marked on the map, which is extremely convenient for “Stripping” of all the zones after completing the main story. One of the main advantage of Fe is that entangled it is impossible. Of course, a little strange to put it in the pros, but very often the creators of these mysterious and meditative indie games throw the player into an open world and propose him / her to walk to every detail. In Fe this is not — the map will always show you where to find the next target, but even without her hints enough: the beast refuses to go on contact, and you run after him and eventually get to the right place; the huge animal tied several ropes to located in different places points, and you run up to each of them and gradually solve the riddles to free poor. In the extreme case can a few seconds to howl and summon a bird that will hint where to go next. Problems with navigation will not occur, making the gameplay really fun. To control is also a minimum claims — Fox quickly responding and jumping on the trees rarely cause irritation. But a couple of bugs still there. In one of the final episodes need to gallop from one object to another, but they are placed so badly that you just have to guess where to go after the next jump, or fall down and be eaten by river dwellers. I have this cut took about twenty attempts, why the experience was slightly spoiled, but after this strange site anything similar did not appear. Another disadvantage associated with the “rise” locations — if a character fell down from a high platform, he will have to climb up again, and this takes time. But this shortcoming is unlikely to pay attention to, if to perform each dive carefully and slowly. Overall, Zoink Games turned out beautiful and atmospheric game. The idea of communication and interaction with nature is implemented great, and the character’s ability to learn the languages of other animals to solve puzzles fits perfectly into the overall design. Puzzles reminiscent of the RiME project and the structure of the world — Hob (each new skill opens access to the next location and set of tasks). In this case, both the mentioned games to the story it was hard to find fault here not once catch yourself thinking that the innuendo did not go in favor of Fe. handy map indicating the goals and the amount of collectibles. one of the final episodes with the jumping poorly conceived and lead to dozens of deaths.